Spread Love is the DETROIT way! 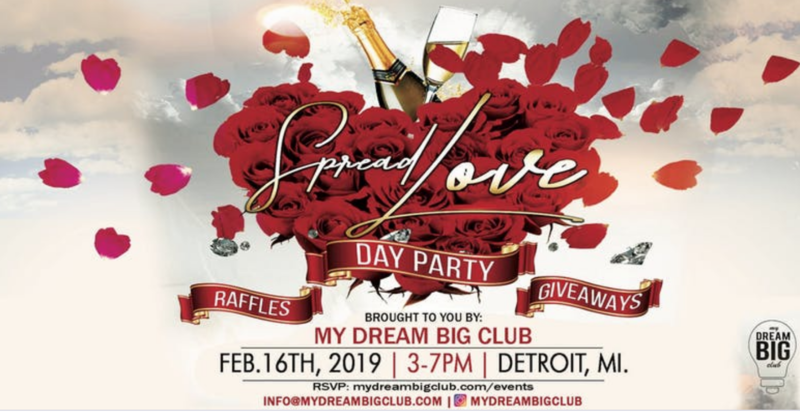 Dream BIG Club’s Spread Love Day Party will bring together a group of people looking to have fun, network and dance. This event is for the singles, couples, moms, dads… pretty much anyone who is looking to spread love the DREAM BIG way. CLICK HERE to purchase tickets.